Florals for spring, groundbreaking we know! Rest assured, our Ivory Floral Chiffon Ruffle Trim Maternity Blouse will help you nail the floral trend flawlessly. Dress this top up for a date night dinner, or even wear it with jeans for casual friday. The chiffon fabric is breathable, light, and the perfect top to take you into spring. Stripes are one of our favorite prints for spring. It’s fresh, clean, and it a great way to start wearing prints again after the winter seasons. Stripes can be worn so many different ways, and you can always find a style that is flattering! 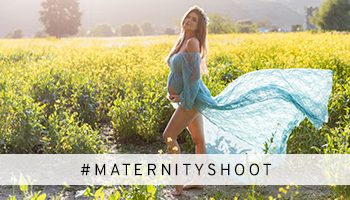 We love our Heather Grey Striped Short Sleeve Maternity Maxi dress for a number of reasons. 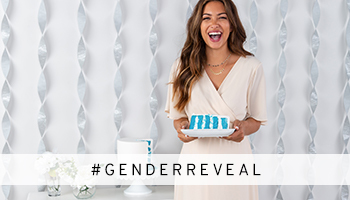 It’s softer than ever, it’s flattering on all body types thanks to the multi directional stripes, and of course it’s a great way to emphasize a growing bump! Looking for a more subtle floral? 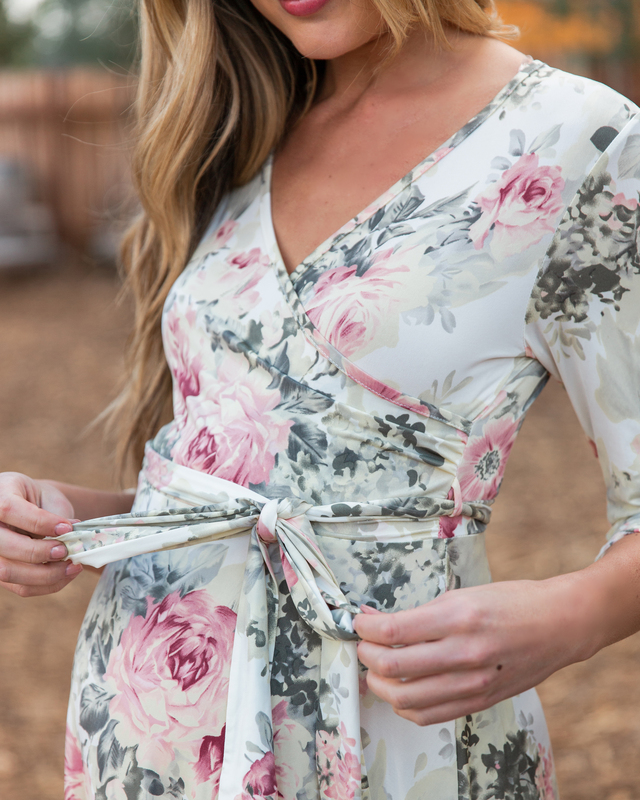 Our Ivory Floral Sash Tie Maternity/Nursing Dress will be the baby shower dress of your dreeeaams! 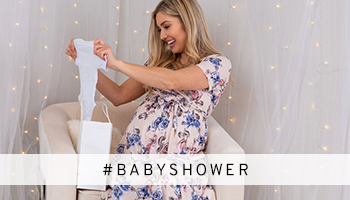 This short, fit and flare styled wrap dress is the perfect way to share your flirty and feminine style at your baby shower. It’s as soft as butter, and because of the wrap tie style, it will be flattering on any and all body types. Plus, this style looks just as good with a bump as it does without, so you can be confident knowing that you can wear it before and after baby! With so many new styles, we know you’ll find something you’ll love. Let the spring refresh start! We can’t wait to see you style our new spring collection. Be sure to tag us in your looks with #prettyinpinkblush for a chance to be featured!